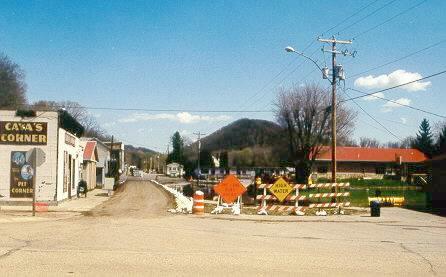 South Main Street near Blackhawk. Debris line at lower right marks flood crest level. 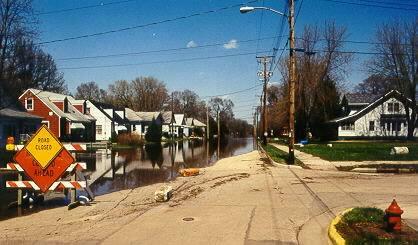 Photos on this page were taken April 24, 2001, approximate river level 22.5 feet. All photos on this page copyright © Alan and Mary Ann Draves. 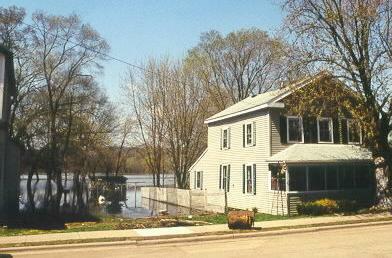 Flooding in Lynxville, north of Prairie du Chien. 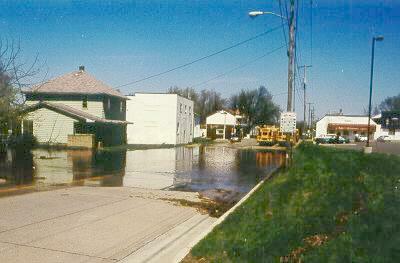 Flooding on South Main Street, south of Hwy. 18. 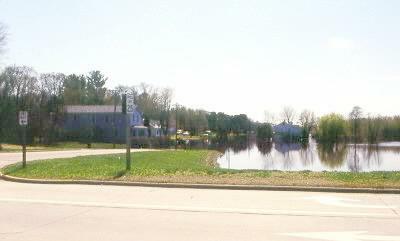 St. Feriole Island is underwater.